This is a duplicate copy of the Position Paper on the Stay Grounded website which Climate Action Moreland has endorsed at our meeting in September 2018. We particularly note under Point 8 that there needs to be “A moratorium on the construction and expansion of airports”, and we think this should apply to Melbourne airport, any expansion to Avalon Airport and creation of a third Melbourne airport at Koo Wee Rup. Aviation is the most climate damaging form of transport  and one of the fastest growing sources of greenhouse gas emissions . In the next two decades, the industry expects a doubling of air passengers . A massive global wave of aviation expansion is underway, with about 1200 airport infrastructure projects planned . Many airport projects are among the biggest, most expensive mega-projects, some being imposed by governments serving corporate interests. While less than 10% of the world population have ever set foot on an aircraft , it is mostly non-flyers who bear the brunt of the climate crisis and the negative effects of airport expansion like land grabbing, noise and health issues. Communities in the Global South , which have barely contributed to the crisis, are affected most. The problem of aviation is part of a bigger story of injustice: It is contrary to the need to eliminate fossil fuel use; it is tied to the military-industrial complex; it also is connected with the undue influence of big business on public policy, including trade, economic development and climate. Aviation remains fossil fuel dependent, yet the industry promotes false solutions such as new aircraft technologies which do not yet exist. Also offsets (see below) and biofuels fail to reduce emissions whilst endangering food supplies, biodiversity and human rights. We are people, communities and organisations from around the world, dealing with the multiple impacts of aviation: Some of us are directly affected by airport infrastructure and the negative health impacts of pollution and noise from aircraft. Some of us are climate justice activists and young people who want to live our lives on a healthy planet. Some of us live in communities defending our homes, farmland and ecosystems from land grabbing for new airports, airport expansion, biofuel production or projects for offsetting aviation emissions. 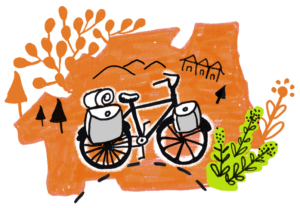 Some of us are academics, trade unionists and workers in the transport sector, as well as environmental and transport organisations from around the world, and from initiatives fostering alternative modes of transport such as railways. Business as usual is not an option. We therefore stand for the following 13 steps to transform transport, society and the economy to be just and environmentally sound. We must end over-reliance on the most polluting, climate-harming forms of transport driven by a globalised corporate economy. This requires negotiations and collaborative planning for a transition that will not be made at the expense of workers in the relevant sectors – although it does include changes in what we do and how we work. 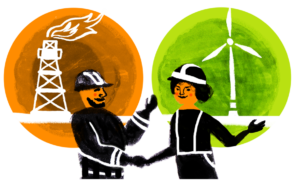 It needs replacement of failed privatisations with climate-friendly local initiatives, good working conditions, public ownership and democratic accountability. To achieve this in the face of a growth-oriented aviation industry also requires overcoming corporate power. We need a transport system that is democratically regulated and planned, promotes and supports the common good and that is integrated and ecological. We must shift from harmful modes of transport to more environmentally sound ones. Short-haul and some medium-distance flights can be shifted to trains in regions where relevant railway infrastructure exists, or otherwise onto buses/coaches. 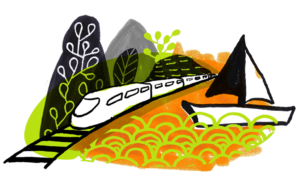 Trains don’t necessarily need to be high-speed but daytime and night services should be attractive, affordable and powered by renewable energy . Also ships and ferries can be an alternative, if their energy source is “carbon free” (wind, battery-electric, hydrogen or ammonia). Freight transport accounts for a significant share of carbon emissions. Instead of aiming to triple the volume of transport by 2050 , we need to reduce the demand for goods from far away and develop localised economies. The aim here is climate protection, not nationalist-style protectionism. This can and needs to happen alongside maintaining multi-cultural and open minded societies. We must challenge social and workplace norms that encourage excessive air travel. Leisure trips can generally be in-region or slow-travel. Online conferences can replace many working trips. We must question the growing habit of travelling to far-away regions, weekend trips by plane and mass tourism which harms local cultures and ecosystems. Achieving Climate Justice is more than a legal process. It requires societies to prioritise a “good life for all”  above profits for the few. This includes justice among all – now and for future generations. It also implies the struggle against all forms of discrimination based on gender, origin, race, class, religion, or sexual orientation . It means that the Global North  and the global wealthy are responsible for a larger share of the effort to combat the climate crisis and to mitigate the consequences, including financial payments for liability and redress. Climate Justice also means that people from the Global South have a right to resist neo-colonial climate policies like offsetting emissions, geo-engineering and biofuels (see Steps 11, 12, 13). 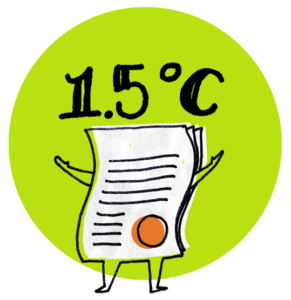 To limit global warming to 1.5 ° C, and to leave fossil fuels in the ground, we cannot rely on voluntary promises. We need binding and enforceable rules as well as clearly defined limits for greenhouse gas emissions. 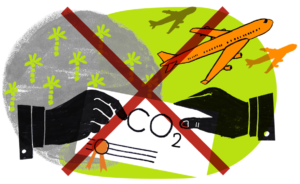 It is necessary that international aviation emissions are part of national emission reduction efforts inside the UNFCCC  process and that ongoing corporate capture of public policies be ended. At all levels – locally, nationally, and regionally – we need binding targets, transparency and meaningful democratic participation. While global targets are important, stricter regional and local measures and regulations are also necessary, such as kerosene taxes, VAT , ticket taxes, frequent flyer levies, aircraft environmental standards, caps on the number of flights and moratoriums on airport infrastructure. A moratorium on the construction and expansion of airports is necessary. This includes airport-centric commercial and industrial developments serving aviation growth, including aerotropolis  (airport cities) and Special Economic Zone projects. 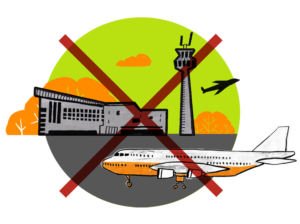 Communities that would be isolated without access to air travel must be considered and ecological ways of connecting them should be sought. Aviation should no longer receive special advantage over other transport sectors. 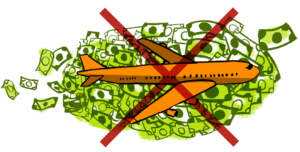 Airlines, airports, and aircraft manufacturers get huge subsidies and tax breaks – the main reason why many flights are so cheap. Few countries tax kerosene and there are rarely any VAT or passenger taxes. Some areas of concern include: airline bailouts; subsidies for flights; debt; aircraft manufacturing and purchase; export credits; and state aid on new airport infrastructure, amongst others . Systemic incentives for air travel should end. These include flight-related ads or other marketing by the travel, airline and aircraft manufacturing industries. 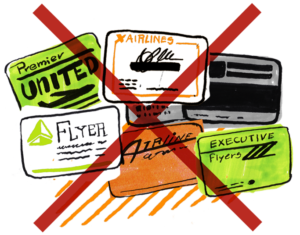 Frequent Flyer Programs (FFP) should end as they strongly reinforce flying as a status symbol. These strong actions have precedent. Some nations banned cigarette ads decades ago, despite the ubiquity of smoking (and the ads) and the perceived rights of smokers. Some countries have already banned domestic FFP . The current mitigation strategy of using offsets is a false solution being pushed by the aviation industry and its captured regulators . Airlines and airports rely predominantly on the misleading premise that instead of reducing emissions, they can offset them by buying carbon credits from others – like reforestation projects or hydro-electric dams that are claimed to lead to emissions savings. Airports also often try to legitimise their destruction of ecosystems by offsetting the biodiversity loss. Carbon offsets do not deliver real emissions reductions , and biodiversity losses cannot in reality be compensated . Offset projects often lead to local conflicts or land grabbing. This is especially the case with land- or forest-based projects like REDD+. 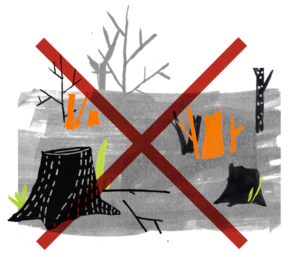 Offsetting is unjust and distracts from the urgent need to reduce, not shift, destruction. 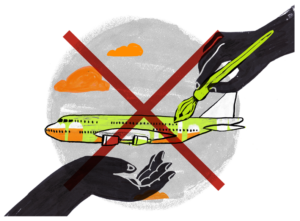 We must avoid the lure of the aviation industry’s greenwashing. Future technical improvements for aircraft and operations have been identified and should continue to be researched but we must recognise that these are and will be insufficient to overcome aviation’s emissions problems. The forecasted efficiency gains in fuel use are exceeded by historic, current and planned growth rates of air travel and air freight (a phenomenon known as the ‘rebound effect’). Step-changes in aviation technology are uncertain and will not come into effect until decades from now. Given the urgency of emissions reductions, relying on questionable scenarios like a sector-wide introduction of electric planes is too risky and diverts focus away from the immediate emission cuts needed . Even future electrofuel propelled aircraft would be harmful without strong sustainability criteria and a reduction in aviation. For the decades to come, decarbonised air traffic or “carbon neutral growth” will therefore remain an illusion. 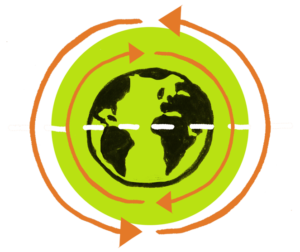 STAY GROUNDED is a growing global network of initiatives, organisations and activists working together worldwide to bring forward a just, environmentally sound transport system and to rapidly reduce air travel. 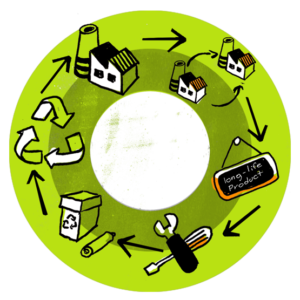 Activities include: supporting affected communities; campaigning; research; policy and industry analysis; demonstrations and direct action. 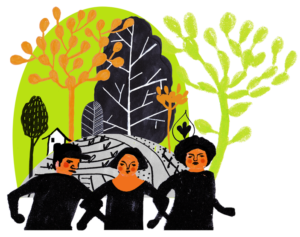 We call for solidarity with people already affected by climate change, with those who struggle against airport projects, with those protecting forests and indigenous peoples’ rights, with those promoting alternatives to aircraft and with those who work for a just transition. The climate crisis is not simply an environmental issue. It is our societal responsibility and needs to be addressed by joining forces. We invite all stakeholders to join us and commit to the implementation of these 13 necessary steps. Please discuss this position paper with your group or organisation, and sign in support, or also join our network and get involved.